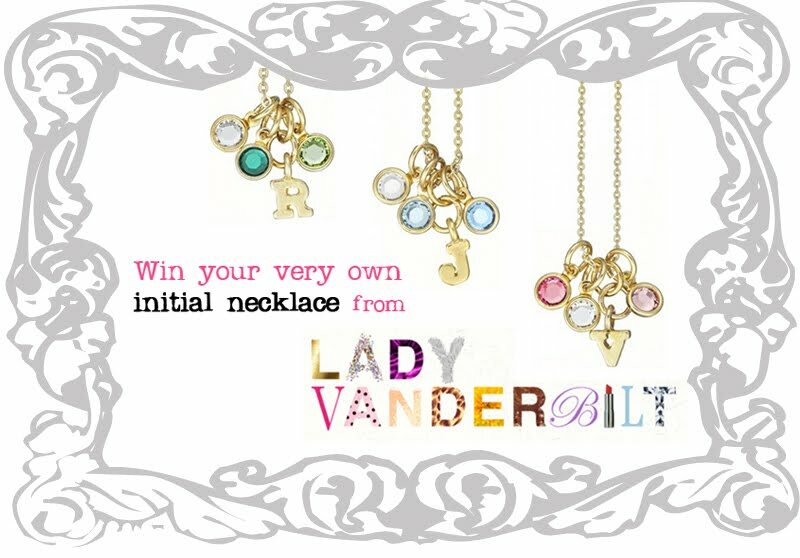 I am absolutely obsessed with these Lady Vanderbilt initial necklaces! They're dainty, sparkly and come in every letter from A-Z (or every number, if you prefer). Each sterling silver vermeil initial charm hangs on an 18 inch gold chain with dangling Swarovski crystals and is under $50, making it a great gift for a friend, sister, or even yourself! Miss Initial Necklace featuring the letter of their choice! Leave a comment in this post with your Twitter username and Facebook name, and be sure to include your e-mail adddress. That's it! Easy peasy, yeah? Leave a comment with your Twitter and/or Facebook name when you do this (each can be done once a day for two additional entries per day). Good luck! Winner will be picked at random and notified by e-mail. Thanks so much to everyone who entered the Lily B. giveaway. The winner will be announced soon!